In the september intermediate run came out that there is a brand new #1 RZE heifer in the breed: Gen Brylo. 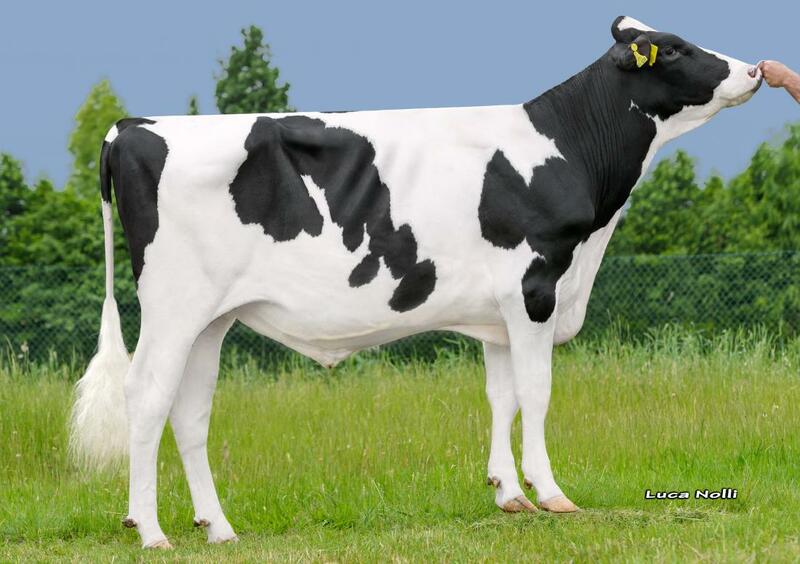 Brylo is an early Undenied daughter of Col DG Brylan, de former #2 PTAT heifer in Europe. Her dam Brylan is sired by Crush which sire is not available in Europe. Brylo herself notes an extraordinary type score of +151 RZE and also +3.99 PTAT with +3.18 UDC!! Her dam is the full sister to the type sensation in the breed: Col DG Crushtime @ ST who notes +4.01 PTAT. 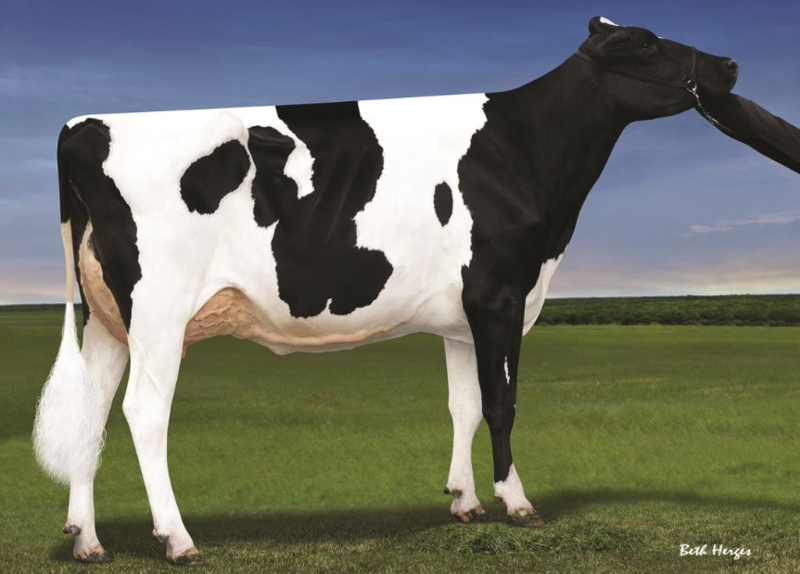 This great type family traces back to the huge transmitting cow Regancrest-PR Barbie EX-92-USA. Dam is sired by CRUSH - who is not available in Europe! !